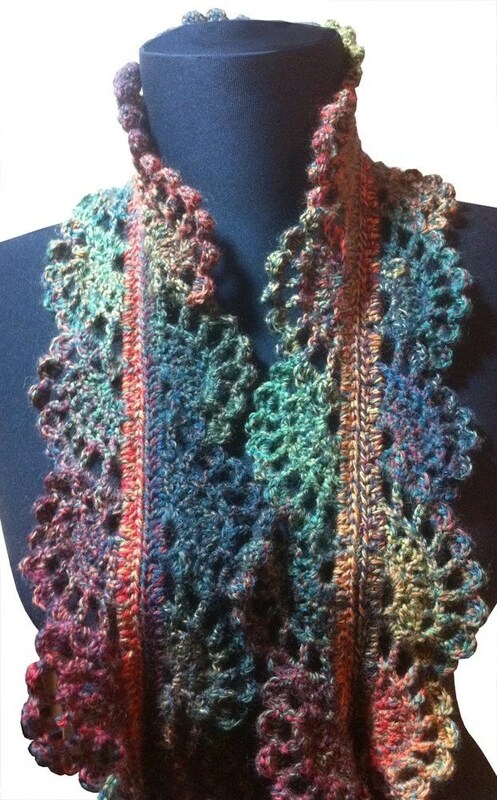 An elegant and romantic scarf but surprisingly easy-to-crochet. Select a light weight yarn or sport yarn if you would like to maintain gauge. However, you could probably use almost any yarn you like to crochet up a beautiful lace scarf in a variety of sizes. The sample scarf in the photos was were made using Patons Kroy Socks FX. This scarf was designed to pull over my head like a cowl so when I ride my scooter I don’t have to keep re-wraping the scarf around my neck to keep it in place. It fits nicely under a coat or jacket in cold weather. 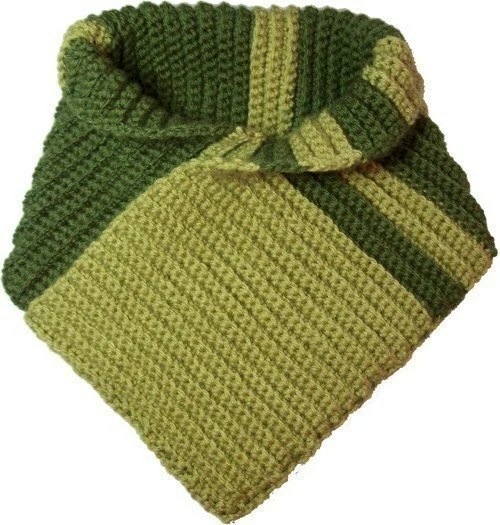 Men especially seem to love this scarf design. No dragging scarves. The scarf stays close to your neck to keep you warm. Get the pattern now on Etsy.